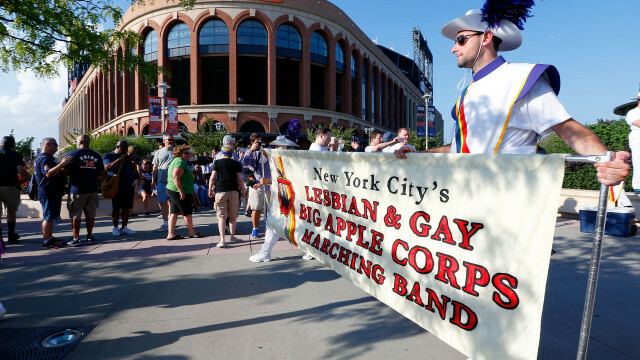 In this pivotal time for women, the Lesbian & Gay Big Apple Corps (LGBAC) will perform a concert featuring female composers on April 7th, 2018. The Roaring Music of Women: A Tribute to the Iconic Edie Windsor will kick off at 7 pm at Symphony Space, as the band highlights women’s contributions to the musical field with works from a variety of eras and styles. This special event marks the first time the LGBAC has performed a full program showcasing female artists. The concert will be dedicated in memory of the late LGBTQ+ rights pioneer, Edie Windsor. Calling the LGBAC “her band,” Edie was a dear friend and major supporter of the organization. Her wife, Judith Kasen-Windsor, will emcee the evening. In addition, the band will play the piece One Life Beautiful by Julie Giroux to honor Ms. Windsor and her zealous commitment to the queer community throughout her lifetime. During the evening, the band will present the Edie Windsor Profile in Leadership Award to New York City politician Christine Quinn. A former Speaker of the New York City Council, Quinn is the first female and openly gay person to serve in this position. She represented the band for many years in Greenwich Village/Chelsea, and has staunchly advocated for LGBTQ+ rights for New Yorkers throughout her many years in office. The LGBAC is proud to publicly recognize Quinn for her leadership in the queer community. Continuing to showcase New York City women, the LGBAC is excited to welcome the evening’s guest conductor, Kimberly Roof, who will conduct Spring Festival by Dr. Chen Yi. The piece celebrates the coming of spring, the most important part of the Chinese New Year. Roof is the assistant conductor for the Brooklyn Wind Symphony and teaches full time at Fiorello H. LaGuardia High School for the Performing Arts. In addition, the band will proudly showcase their 3rd annual New York City High School Musician Concerto Competition winner, and recipient of a $1,000 scholarship: August Haller will play R. Strauss’s Horn Concerto No. 1 in E-flat major, Opus 11. Haller, 18, is a senior at St. Ann’s School in Brooklyn and was a member of the 2017 National Youth Orchestra in the USA. The Concerto Competition, open to any and all New York City high school musicians, is uniquely and exclusively designed for wind and percussion instrumentalists and supports the LGBAC’s mission to embrace all people and provide a safe environment to make music. Other works on the program include Dolly Parton’s 9 to 5, Tatarian Dances by Elena Roussanova Lucas, Early Light by Carolyn Bremer, the world premiere of Gwen-Marie Lerch’s percussion feature Cancio Para Emilia, Flying High by Rika Ishige, and Tango, a piece for saxophone ensemble, by Karen Street. Concluding the evening with a bold finish will be Let’s Get Loud by Gloria Estefan, made famous by Jennifer Lopez. Tickets for the concert, held at Symphony Space, 2537 Broadway, New York, are available at Symphony Space or (212) 864-5400: $15 balcony/$25 orchestra. We had an overwhelming response to our contest with submissions from all over the country and a third of the total entries from countries outside the US. Giordano’s music will be performed live in concert on October 21st, alongside real-time play of a new video game by Matt Latas and Geoff Ekström. Giordano Maselli, an italian composer, graduated with honors in Composition at the Conservatory S. Cecilia in Rome. He started his musical training at the age of three. After trying various instruments, by the age of nine he focused on the piano and scoring for visual media. He studied classic composition at the Arts Academy in Rome and privately with M° L. Pelosi, leading him toward admission to the Conservatorio di Santa Cecilia. His compositions include scores for short films like “Tom”, “Shah Mat”, “Adele”, “Cattive Notizie”, the complete soundtrack of the “Last Monkey” webseries, cartoon soundtracks for the firm Musicartoon, and video game scores with RedDoll. In 2014 and 2015 he was awarded Best Original Score in the 48h Film Project, given by Ian Anderson (frontman for Jethro Tull). In 2015 he entered the Italian movie market with “Hybris”, a psycho-thriller produced by Mirelatives Picture. The movie has been released in Italy and the soundtrack is available on iTunes. Maselli has also founded his own recording studio with the aim of working as closely as possible with other musicians in ‘live room’ composing. He is currently working on an album titled, “Start From Scratch”. 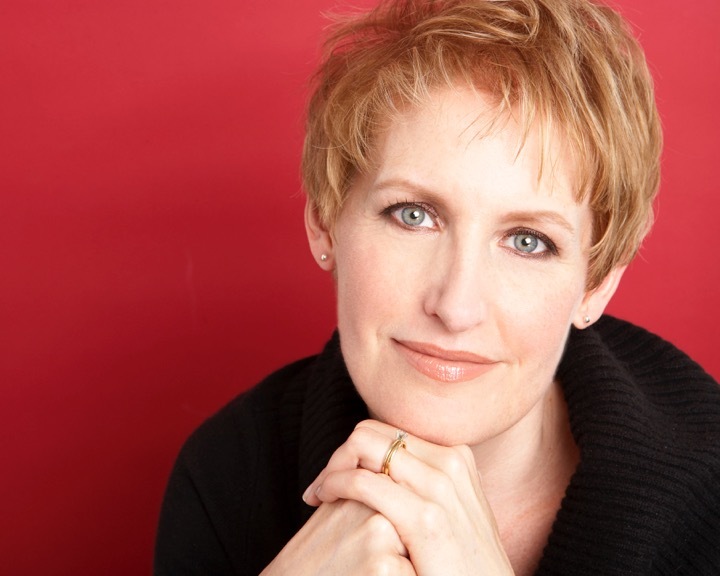 The Lesbian & Gay Big Apple Corps is thrilled to welcome Emmy Award-winner and Tony Award nominee Liz Callaway, to perform “Meadowlark” from The Baker’s Wife by Stephen Schwartz with the band on April 9 at Symphony Space. As with all great collaborations, the more you know of each other, the livelier the end experience. Artistic Director Kelly Watkins spent some time getting to know Ms. Callaway, her inspirations, and her memorable musical experiences in 90 Seconds With Liz! When did you start performing and who were your early inspirations? Liz Callaway: I was very shy and would only sing if my family left the house. I didn’t start performing until high school. Some early influences included Eydie Gorme, Marilyn McCoo, Barbra Streisand, and Pamela Myers (original cast of Company). You’ve performed on Broadway. You’ve provided the voices to some of the biggest Hollywood animated movies of all time. You’ve sung on the world’s great concert stages with the best of the best. After all that, what inspires you to keep performing? LC: At this point what really appeals to me is having great experiences and working with interesting people in interesting places. Theatre is my first love, but my freelance life allows me to travel the world and have some amazing experiences. If you follow me on Twitter or Facebook you’ll see my life is never boring! What do you consider to be the most memorable musical experience of your career thus far? LC: That’s too hard because there have been so many! To name a few, Follies in Concert at Avery Fisher Hall, Baby, Anastasia, and recently singing a duet with Johnny Mathis. LC: Playing tennis, cooking, reading, and cheering on my NY Mets! The Lesbian & Gay Big Apple Corps is excited to announce its collaboration with the Philadelphia Orchestra’s principal tuba, Carol Jantsch, performing Bruce Boughton’s Concerto for Tuba and Winds with the band on December 12, 2015 at Symphony Space. 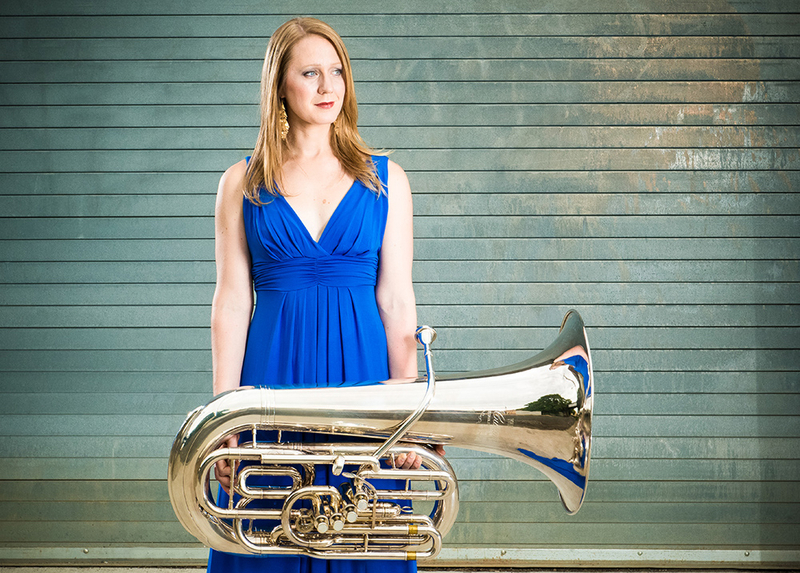 Ms. Jantsch holds the distinction not only of being one of the youngest principal chairs of a major American orchestra—a position she’s held since 2006 while still an undergraduate at the University of Michigan—but also as the first woman to hold the principal tuba chair in any major orchestra. Ms. Jantsch began her career in music early, learning the piano at the age of six before later picking up the euphonium and, ultimately, the tuba when she was in seventh grade. She went on to study at the Interlochen Arts Academy before attending the University of Michigan where she studied with Fritz Kaenzig. The LGBAC is proud to welcome Carol Jantsch to their stage.